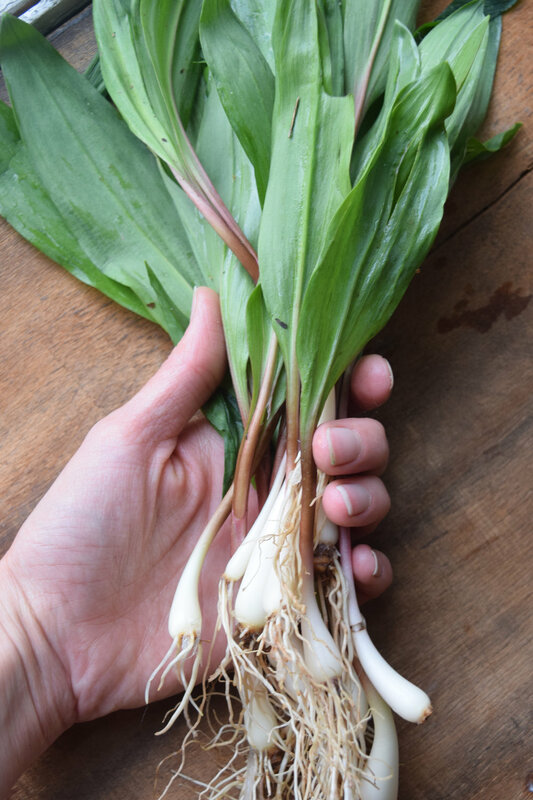 Everyone goes mad when ramps are in season. Lucky for me, my husband went away for the weekend and returned with some amazing ramps from my friends upstate home. This weekend I took a shot at making some vegan ramp butter. This being my first time trying this out, I came back with some notes for myself. Like, make sure your knife is well sharpened when cutting blanched ramps, and roll the butter in some freezer paper rather than a mason jar. Great learning experience for next year! Check out our friends Air B&B Bellwood Cottage, right in Roxbury, NY.